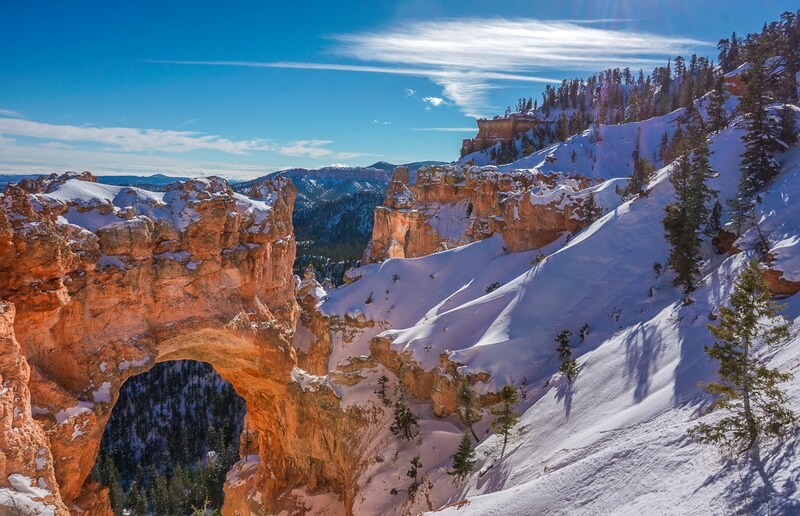 The long distant views in Bryce Canyon National Park will take your breath away. 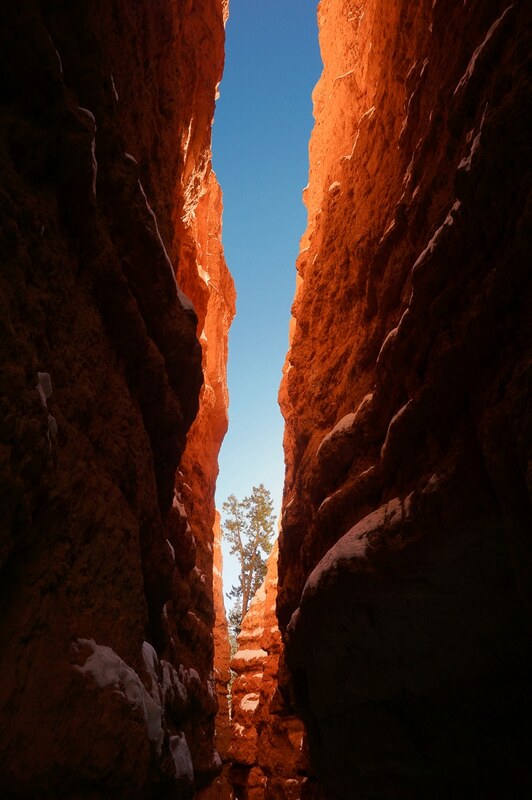 Copper-colored cliffs stretch as far as the eye can see, their brilliant hue and jagged shapes accentuated by lingering patches of bright white snow that sparkle under the blazing sun. A granite arch curls majestically over a steep incline, so sublime it could be CGI from a scene of Lord of the Rings. Pine trees protrude regally from beneath the drifts, casting irregular Kokopelli-esque shadows on the milky snowfall, creating a kaleidoscopic effect. In the more immediate vicinity, one navigates through the narrow crevasses of the slot canyons, flanked by imposing monolithic walls. Their sheer mass and tight proximity largely block the sun, creating dim pockets of cool air—not that it discourages the heartiest of ponderosas from flourishing. With a display that gives meaning to the word grit, these determined saplings beat all odds. 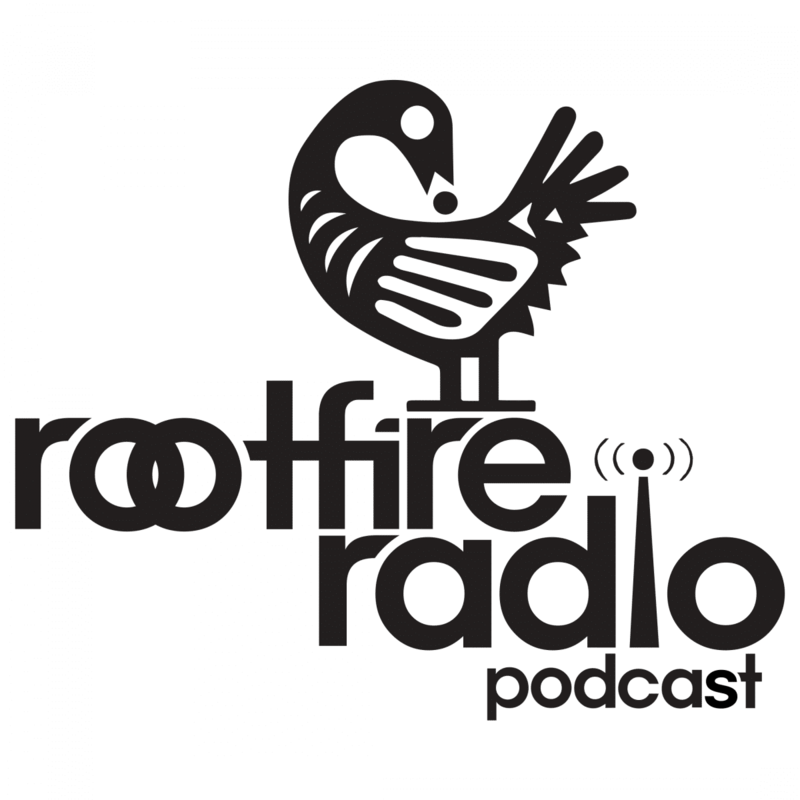 First finding a slice of soft earth in which to sprout, then, over the course of time, they bend roots and twist trunks to not only sustain life, but to thrive and conquer in the least advantageous conditions. 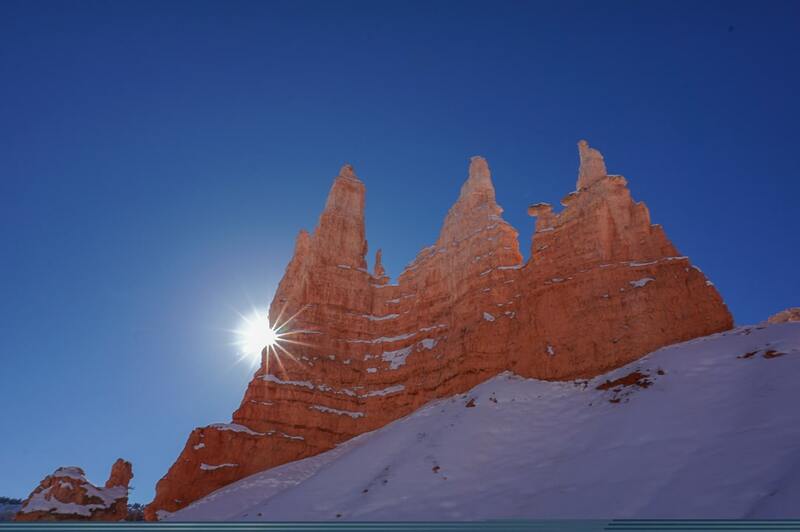 In a similar demonstration of adaptability, the striking hoodoos come into existence by enduring over 200 freeze/thaw cycles each year. 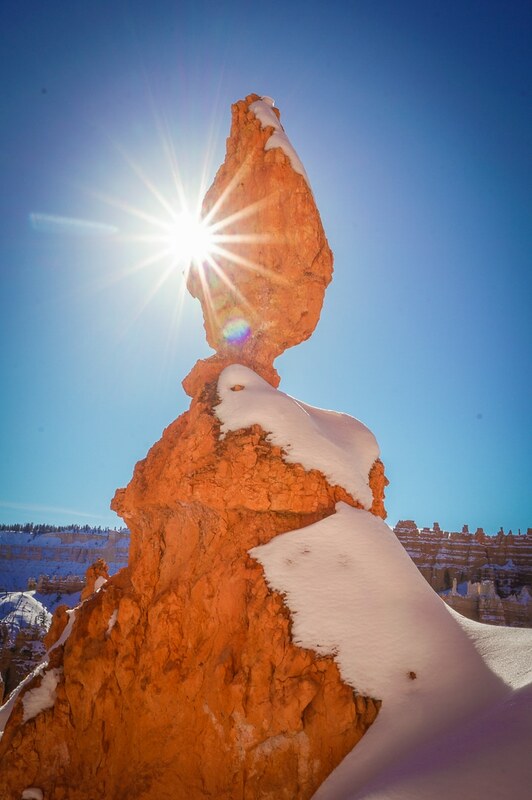 These curious stone structures resist a constant barrage of sun, wind and water to form their unique shapes, capturing the attention and admiration of Bryce’s visitors. By and large, the human experience is difficult. 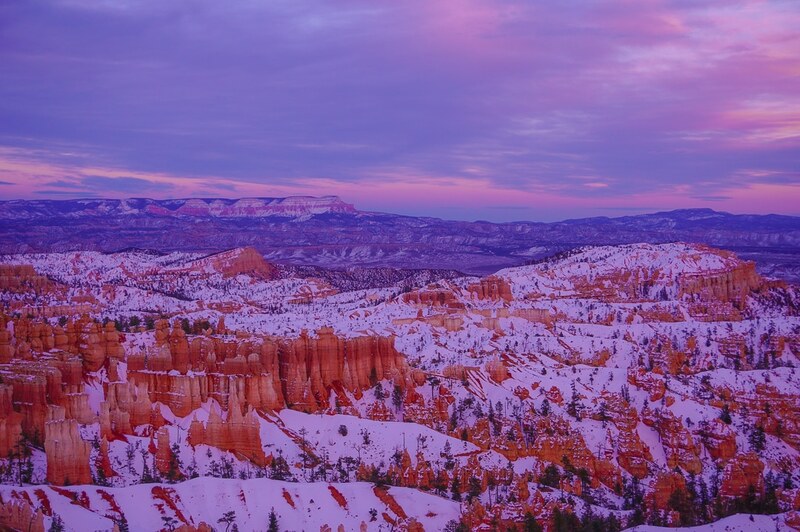 Perhaps we can draw inspiration from the fascinating features of Bryce Canyon as we maneuver through the disappointments, challenges, sadness, pain and unfortunate ugliness that we are often faced with. Thankfully, life is not without glory. Behold the instances of success, pleasure, peace and joy, and try to take satisfaction from service to others, whether it be through work, friendships, family or even strangers. Embrace these blessings, however insignificant they may seem, and have the courage to live and love, grow and learn. 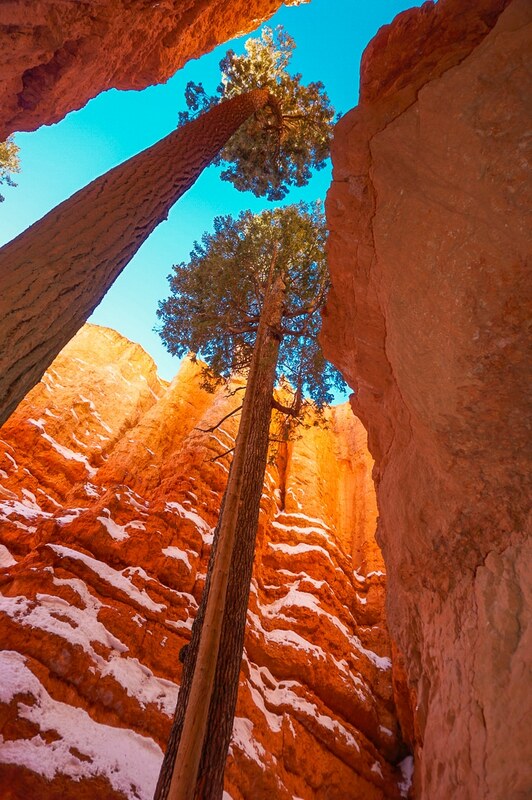 Bryce Canyon reminds us that, despite the harshest of environments, with resilience and fortitude comes beauty.